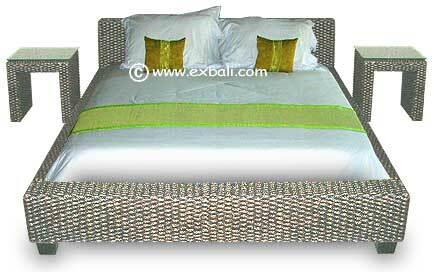 Banana Leaf Furniture and Woven Bedroom Furniture Products and Accessories from Bali. 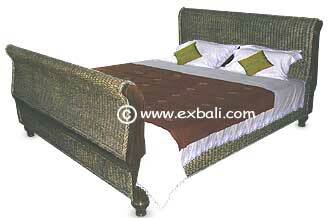 Bed Set with wooden trim. 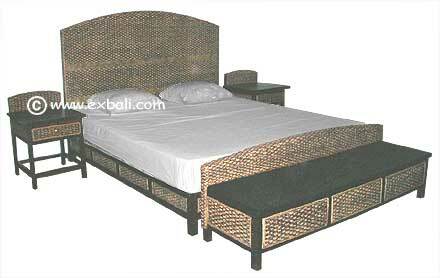 Set includes Bed, 3 drawer End unit and side tables. 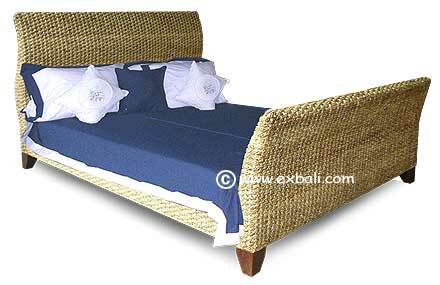 Available in Standard US and Euro Mattress Sizes. Pictured with optional side tables. 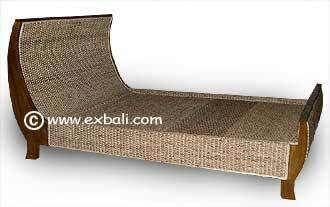 Woven Balinese Decor Products and Accessories.